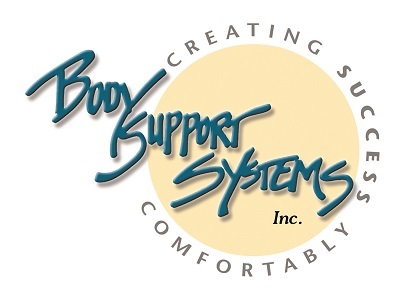 Body Support Systems was developed by a massage practitioner to maximize his clients' comfort. Originally the bodyCushion didn't even have a name, however, its exceptional comfort created demand for the product now known as the bodyCushion. Component of Adjuster Caddy Set. Adjuster Caddy Bag holds and organizes the Adjusters and Extenders. Ultimate face-down comfort for large breasts, augmentations, perinatal patients and surgery recovery. The breastProtector (shown in circle) simply replaces the bodyCushion Chest Support when needed. Unit Size: 11"L x 4"W x 2"H. Weight: 3.2 ounces. When used under the bodyCushion Face Support, the Small Wedge can vary flexion, extension, and the rotation of the cervical spine.